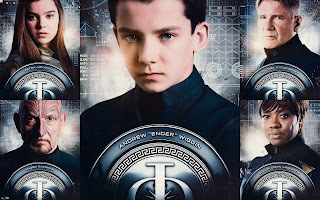 I had the chance to check out Ender's Game over the weekend. I especially enjoyed relaxing in the nice recliner seats at the movie theater. Story Line: In the near future, a hostile alien race called the Formics have attacked Earth. 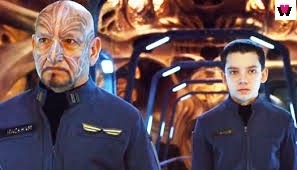 If not for the legendary heroics of International Fleet Commander Mazer Rackham (Ben Kingsley), all would have been lost. 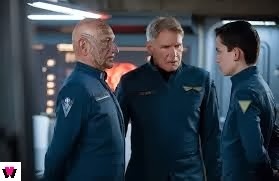 In preparation for the next attack, the highly esteemed Colonel Hyrum Graff (Harrison Ford) and the International Military are training only the best young minds to find the future Mazer. Ender Wiggin (Asa Butterfield), a shy but strategically brilliant boy, is recruited to join the elite. He is separated from his beloved sister, Valentine, (Abigail Breslin) and his terrifying brother, Peter (Jimmy Pinchak), and brought to battle school. Arriving at Battle School, Ender quickly and easily masters increasingly difficult challenges and simulations, distinguishing himself and winning respect among his peers. 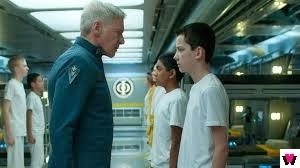 Ender is soon ordained by Graff as the military's next great hope, resulting in his promotion to Command School. Once there, he's trained by Mazer Rackham himself to lead his fellow soldiers into an epic battle that will determine the future of Earth and save the human race. I did not have the chance of reading this book back in high school so I picked it up once I heard the movie was coming out so I would understand the movie. I always like to read the book prior to the movie so I can have all background information. With that being said I noticed a few things were cut out but that is understandable when you adapt a book to movie. The movie is just under two hours long so it is a short film. Wow, did you ever think it would be a day that a two hour movie would be considered short. One major change that I noted was that the whole Valentine and Peter story line on earth was completely cut. The underlying chaos on Earth was a great story line because viewers need to understand what the world changed into and why Ender being a third was so pivotal. Also the mind game was cut short as well all the amount of psychological warfare Graff put on Ender. Nonso Anozie did a fantastic job of Sergaent Dap. He was tough on the launchies but the same support he portrayed in the book translated well onto the big screen. I enjoyed the relationship that Ender was able to develop with Petra as well as the other individuals that ultimately became part of his team. I did not enjoy that they changed that Ender killed the boy on Earth and the boy at Battle School but I understand that they did not want to show a kid as a killer. I really wished they showed the battle room more. Ender truly excelled at that game and this helped him become known. He was able to use this room to show his true abilities as a commander. 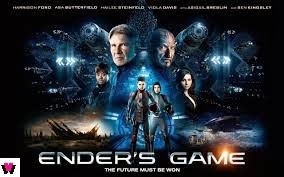 Overall the movie was fun and a great sci-fi feel. Check it out. 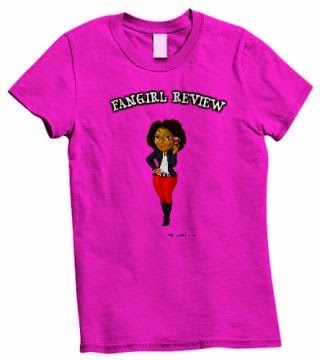 It is not necessary to read the book but understand it is a series so if you want to continue where the movie left off then pick it up and let me know your thoughts.